每間威士忌酒廠都有好些不同的分野，如水源， 烘焙發酵的方法，不同形狀的蒸餾器, 蒸餾的時間和酒心率，木桶的應用和陳年的環境，加上調酒師的調配工藝, 造就出威士忌不同酒廠個別獨特的風格。 蘇格蘭威士忌酒廠在過去百多二百年間，很多都是開完又執，執完又開. 有些在閉廠一段時間後，有財主注資後，在更新整理設備後，會以原先設備生產重開。但好些酒廠在關閉後，設備被拆除賣掉，甚至連廠房建築也被拆卸， 但多年之後，仍然會有人將這些酒廠重生，繼承的，只有名字及原址而已. The different water sources, kilning, brewing, shapes of pot, distillation, casks, environment of aging and etc, plus skill of master blender, that differentiate distinctive characteristics amongst different distilleries. There were many distilleries going though the pattern of closure and reopening in the past century. Some were just mothballed or being said silent. Having new fund injected they were reopening and resuming production with original equipment. However, many of them were completely closed, equipment and even building structure all gone, merely the name and soil if anything left. 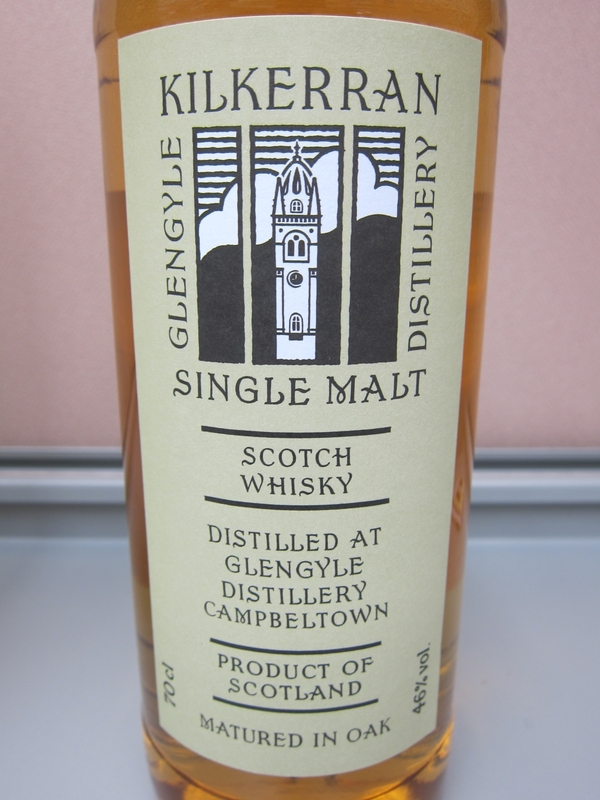 Campbeltown was used to call “Whisky Capital of the World" but turned out leaving only Springbank and Glen Scotia these two distilleries survival in the recent decades until 2004 the reopening of Glengyle Distillery. Yes, it can be deemed a reopening as Glengyle was at first established by William Mitchell in between 1872 & 1873 after he was repelled by the management of Springbank, and at last it was closed in 1925. Time flew 70 years passed, the “Whiksy Capital of the World" left only two distilleries as aforesaid. The Mitchell family of Springbank begun the rebuilding of Glengyle in 2002 and the distillery has been reborn in 2004. The split families have finally reunited. 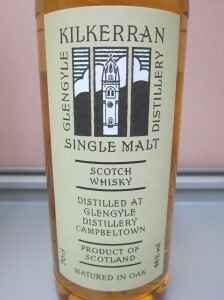 Glengyle set the objective for its standing bottling starting from 10 years old. 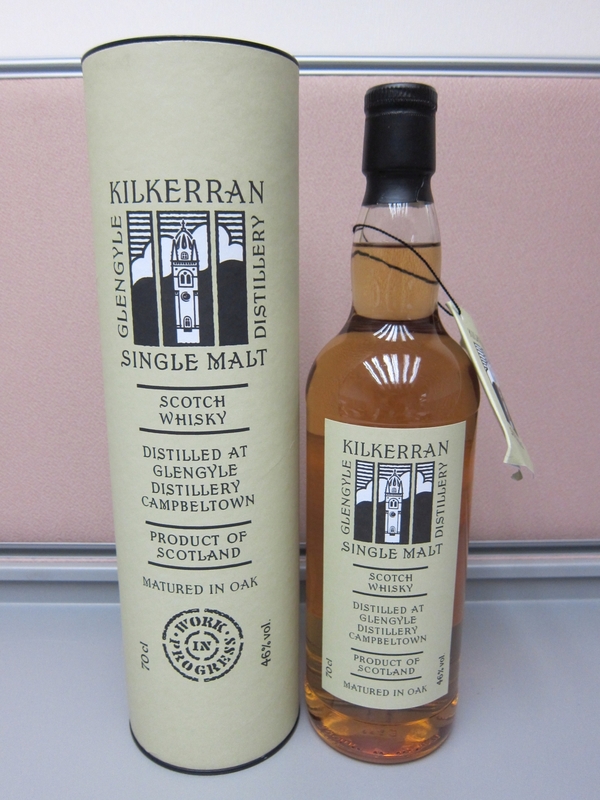 Glengyle is doing the same as to other newly established distilleries that is releasing some bottlings at different stages, which is the Kilkerran Work In Progress (WIP) series. Kilkerran is Gaelic, originally “Ceann Loch Cille Chiarain" which means the praying chamber of Saint Kieran, where later became Campbeltown. Current WIP is two versions of release 6, Bourbon and Sherry casks respectively. The 10 years old standard bottling will be released soon. Conclusion: Rich butter smell, afternoon tea, hint of soap reminding you to wash your hands before meal. Though its alcohol strength reaches 46%, not alcohol burnt, medium, still an English afternoon tea set. Soft and comfortable aftertaste. 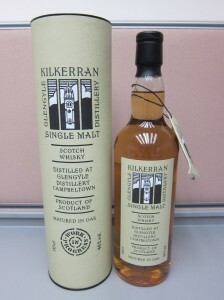 A light and soft dram, not complex, smooth and easy to drink, a good whisky.